The NC line benefits from a strong identity. 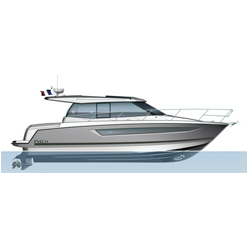 The NC33 is entirely inscribed within the philosophy of these inboard models, cleverly combining the strengths for which the NC is renowned with the latest technological advances of the brand. 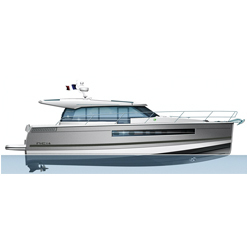 The new NC notably features an excellent hull design by Michael Peters. With no steps, the interior layout meets the demands of the NC concept. Life on board is easy and enjoyable. 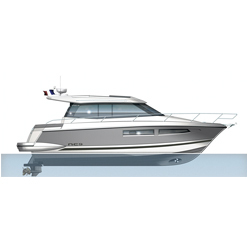 Designed for life on the sea, the NC 33 is very open to the exterior. Everything has been carefully considered for comfortable, harmonious cruising. 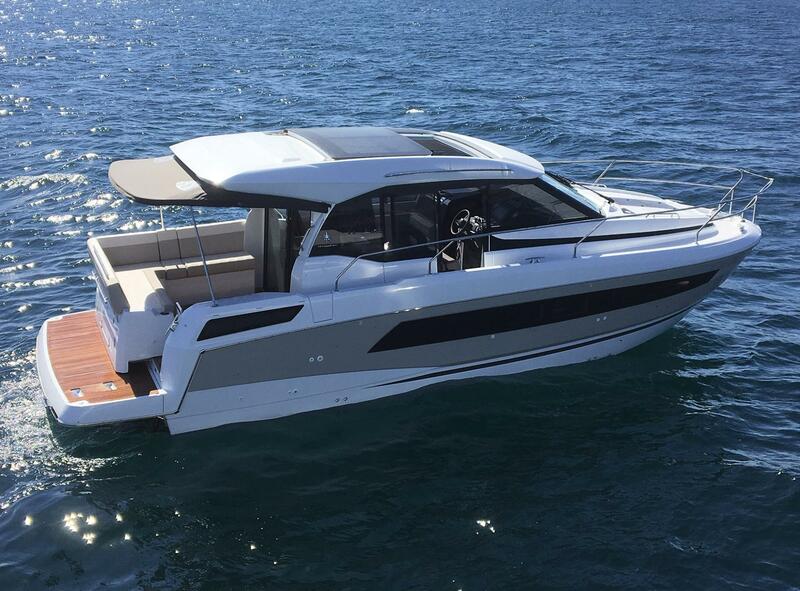 Entirely secure, this new NC features wide, recessed sidedecks. The side door to the helm station facilitates movement about the boat and handling at sea. The side access gate, a new feature for this line, is an undeniable advantage that improves access on board.